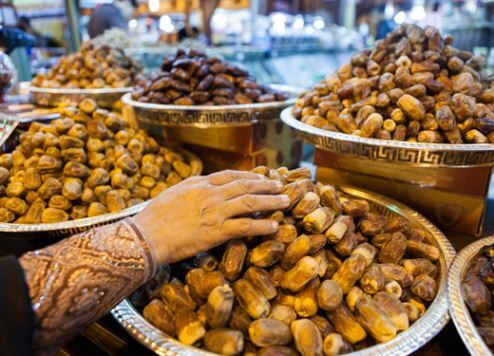 Expo 2020 Dubai has launched a search for producers of authentic Emirati and regional products including dates, Arabian coffee and sweets, chocolate and spices, which will form part of a warm, mouth-watering welcome offered to Expo’s millions of visitors from around the world. This is the second of up to 40 licensed product categories put out to tender by Expo 2020 organisers following the launch last month of a campaign to source manufacturers of souvenirs. Licensed food products will be sold at selected outlets across the UAE, including dedicated Expo retail stores that are expected to open in 2018, as well as at the Expo 2020 Dubai site itself when the event commences in October 2020. With the Dubai Food Festival kicking off later this week, Najeeb Al-Ali, executive director, Bureau Expo 2020 Dubai, hopes that UAE-based food producers will be inspired to compete for the chance to benefit from Expo’s reach, which will ensure their products are tasted by millions from around the world. “We want to work with producers to create a range of products that authentically reflect our heritage and the multinational diversity of the modern UAE,” he said. “We have an incredible, vibrant food scene that combines traditional Arabian products like qahwa, dates and spices, with international influences, and we want to share that with visitors to Expo 2020 Dubai. Applications to tender are available online and are open to businesses of any size from anywhere in the world.